The human body is exposed to a wide variety of toxins on a daily basis, including chemicals found in foods, environmental toxins and pharmaceuticals. The liver is the body’s main detoxification organ, and provides enzyme systems that safely process and remove xenobiotics (foreign chemical substances) and unhealthy hormone metabolites out of the body. These detoxification systems are very complex and require a variety of nutrients for optimal function. 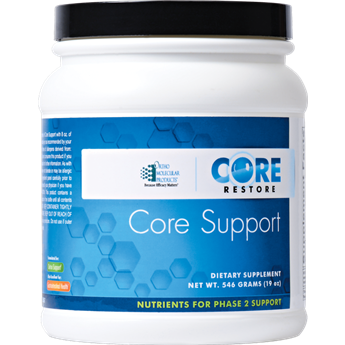 PhytoCore was created as part of the Core Restore Kit. The specialized blend of nutrients in PhytoCore has been shown to stimulate Phase I and II biotransformation and support the body’s natural liver cleansing function during detoxification. Each capsule includes silymarin, artichoke extract, curcumin, methionine, choline, inositol, garlic and dandelion root. These botanicals and plant extracts contain phytonutrients, antioxidants and other compounds shown to increase cellular defenses, up-regulate detoxification, and protect DNA.